(MoneyWatch) Can "crowdsourcing" help relieve the nation's student debt crisis while helping people save on their college education? That's the hope of joinStampede, a startup that wants to harness the power of the Internet to negotiate better loans for borrowers. JoinStampede hopes to get at least 100,000 people to sign up, which only requires providing an email address and does not oblige members to accept any loan offers. Then the firm will try to negotiate preferred loan terms, such as a rebate or interest rate reduction, with lenders. Stephen Dash, co-founder and CEO of Stampede Labs Inc., spoke with CBSNews.com to discuss the San Francisco firm's ambitious plan to shake up the market for student, mortgage, auto and other loans. You're Australian. How did you get interested in the problem of soaring student debt in the U.S.? Stephen Dash: I had dinner with a friend who went to school in Boston. He told me his monthly student loan repayment was almost double his monthly rent! I nearly fell off my chair, but it sparked my interest. What prompted you to launch joinStampede? Was there an "ah ha!" moment? I witnessed the emergence of consumer movements around the world, including in Australia and the U.K., and realized their potential to change the status quo. The unique characteristics of the student lending landscape in the U.S. made me realized that the application of the consumer movement concept to this market could affect real change. We want to help reduce the burden of student debt; reduce information asymmetry in the student lending industry; and create more transparency around student loans products and options for borrowers. We also want to prove a new model for interaction between suppliers and consumers that can deliver genuine economic efficiencies for lenders and better outcomes for borrowers. Can you compare this venture to crowdsourcing efforts that have tackled other large-scale problems? Is there a student debt crisis Australia, and has crowdsourcing been used there to try to mitigate the problem? The problem doesn't exist in Australia like it does in the U.S. because college is less expensive. The Australian government has more of a "pay as you earn" program, and private student loans are extremely rare. This also happens to be the case in the majority of advanced economies around the world. Education affordability is significantly higher in the U.S. than elsewhere. What is Causes.com's role in joinStampede? Causes.com is the world's largest platform for social good. They enable individuals, grassroots organizers, nonprofits and companies to run online-to-offline campaigns. Their tools help people find passionate communities, take collective action and make an impact. Causes.com is our principal campaign partner. They believe in our campaign and want to help us make a difference. We have built an activation community on the Causes platform that will make it easy for our members to share and garner support for joinStampede. Are there particular lenders you plan to approach in trying to get your members a good loan? Not especially. There are about a dozen lenders who specialize in student debt -- we would like to speak with all of them. 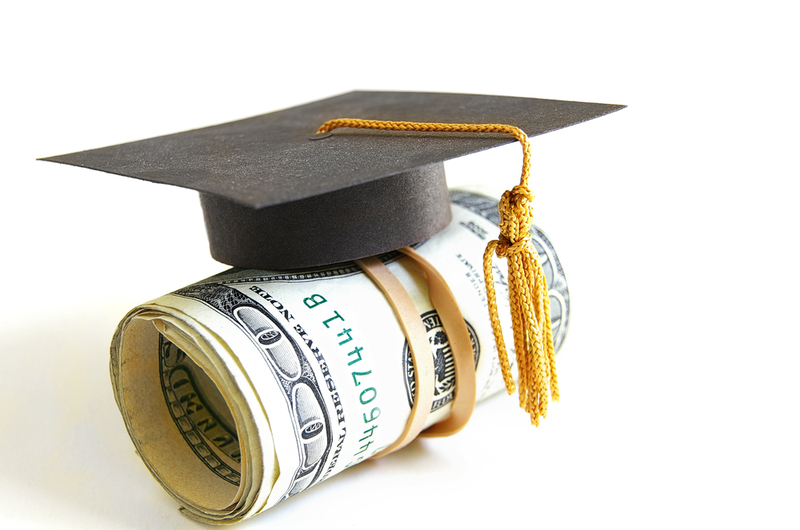 Will you negotiate for better federal and private student loans? What about federal Parent Plus Loans? There are a lot of complexities with student loans in the U.S. Our expectation is that a private student loan consolidation product rebate or discount is most likely. What happens after joinStampede's initial student loan campaign ends in April? We have big plans for future campaigns in related verticals like auto loans, insurance and mortgages. And what will you do if you don't reach 100,000 participants? It will be more difficult to negotiate with lenders, but not impossible. Simply, the more people who join, the more influence we have. This will ultimately result in a better outcome for our members. When you register, you are asked to provide your first name and email address, and then select an approximate student debt amount from a drop-down menu with five broad categories. No specific financial information is required. We will not share this individual data with anyone. When it comes time to involve the lenders, we may provide aggregate, anonymous member data to lenders. For example, we have 100,000 people and $1.5 billion worth of student debt. No individual's data will be shared. At the end of the campaign, we expect to send our members an obligation-free offer from a lender. At that time, we may ask some broad questions to make sure members are eligible for the offer, such as which school they attended and when they graduated. The answers to these questions may be shared with the lender to determine eligibility. If members choose to apply for an offer, they will leave our site and apply for the offer through a lender's application process; we will not collect any further information at this point. Do borrowers have to pay a fee to participate? Absolutely not. There is no obligation and no fee payable to be part of our movement. But isn't there a catch here -- why is it free? Stampede Labs Inc. may be paid a commission by our panel of lenders if you choose to take an offer. How do you expect crowdsourcing to evolve in the future an instrument of change? The idea of organizing consumers around technology creates an extremely powerful tool for shifting the power dynamic between suppliers and customers. We have big plans for future campaigns in related verticals like auto loans, insurance and mortgages.